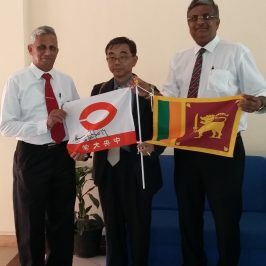 The Master of Business Administration (MBA), Master of Public Management (MPM) and Master of Science (MSc) in Management are two year full-time postgraduate degree programs of the Faculty of Management Studies and Commerce offered through the Faculty of Graduate Studies of the University of Sri Jayewardenepura. Candidates will be given choices to do the degree in one of the following fields. To offer a particular field in a given year, there should be at least 10 students who wish to do the degree in that particular field. The programs are two-year postgraduate degrees that begin with a foundation on main functional areas in management and eventually progressing into more integrative courses on both general and specialized areas culminated by a project/research/thesis. Distinctive features of the programs are the freedom they provide to students to master on a selected specialized area of their choice and frequent workshops on current business issues and study tours aimed at providing extensive exposure into real life managerial experience. Students have to earn 60 credits during two year period to complete a degree. They have to earn 30 credits in the first year and 30 credits in the second year. The lectures will be held only on Saturdays and Sundays. After completing the first year of the program, students can choose one of the following alternatives to complete the masters. 1. 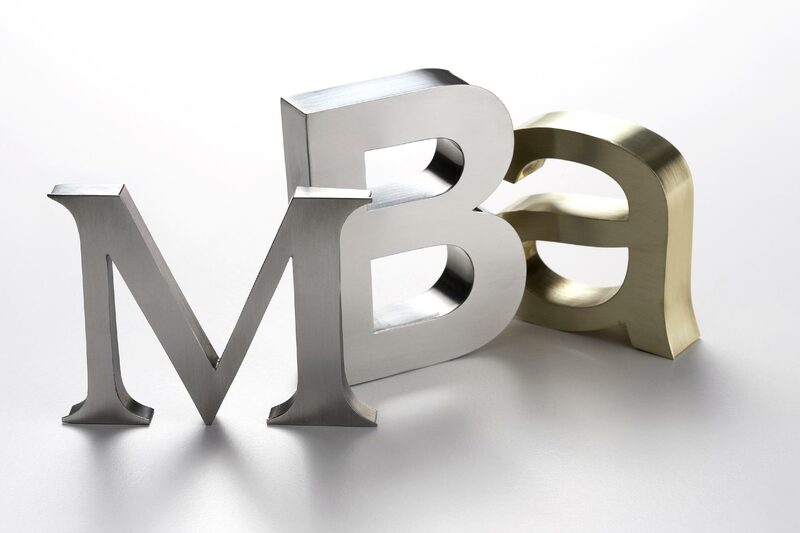 There are two alternative (MBA/MPM I and MBA/MPM II) ways to complete the MBA or MPM degrees. Complete the second year by 6 courses with 18 credits and the research with 12 credits. 2. 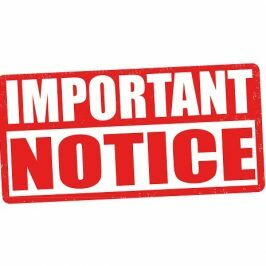 Those who wish to continue for an MSc degree will have to follow 3 courses with 9 credits in the first term of the second year and the thesis with 21 credits in the second and third terms of the second year. Research with 12 credits or Project Report with 6 credits and Two Courses from the field of specialisation. The normal period of study for the MBA, MPM and MSc degree programs are two years. A candidate who fails to complete the program within two academic years may extend for another period of three academic years upon receiving a written request under circumstances acceptable to the Board of Study in Management Studies and Commerce. The maximum period of study for the program is five academic years from the date of commencement of the first credit course of the program. A candidate can repeat a course and complete within the five academic year period. Students must also register themselves separately for common and specialization courses, project report, research paper, or thesis. The registration of a candidate will automatically be cancelled when he/she fails to complete the degree within the stipulated time (i.e., maximum of 5 years). A candidate whose registration has been cancelled but wishes to obtain the MBA, MPM, MSc or PGDM, he/she must reapply for new registration. The course credit earned in the previous registration of such a candidate will not be transferred under any circumstances. In order to secure and maintain professional and ethical standards pertaining to discipline, students are expected to exercise restraint in their conduct both inside and outside the University. 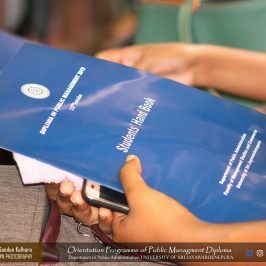 It is the responsibility of each student to obtain a copy of the Students’ Handbook and familiarize himself/herself with the regulations procedures and guidelines given therein and adhere to them in pursuing the studies and research prescribed by the Institute. Detailed information regarding policies, procedures, rules and regulations is described in the handbook that is given free to the registered students. 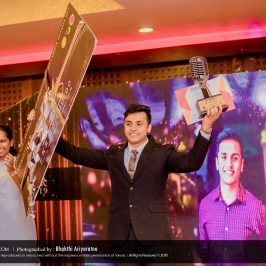 Faculty of Management Studies and Commerce is the largest management Faculty both in terms of student population and the staff in Sri Lanka. It has more than 25 PhD holders in various disciplines in management education. Thus, it has the capability of providing wide range of specialization fields to its master´s students. However, the facilities for doing the degree in a particular field of specialisation shall be provided depending on the availability of resource personnel and number of students. A Special Bachelor’s Degree with a class standing in Business Administration/ Public Administration/ Commerce/ Human Resource Management/ Marketing/ Accountancy/ Finance/ Estate Management and Valuation/ Business Economics/ Operations Management/ Management Information Systems/ Economics from a recognised university. A General Bachelor’s Degree with a First Class or Second Class (Upper Division) standing in any of the above subject areas from a recognised University. A Bachelor’s Degree in any subject area from a recognised University with three years’ post-qualifying relevant experience. A Postgraduate Diploma of not less than one year or Higher Degree in Management Studies from a recognised University. A Postgraduate Diploma of not less than one year or Higher Degree in any other field from a recognised University with two years’ relevant experience. One of the following professional qualifications with three years’ post-qualifying relevant experience. One of the following professional qualifications with five years’ post-qualifying relevant experience. Professional qualification in Human Resource Management from the Institute of Personnel Management. Other professional qualifications equivalent to the above may be considered subject to the approval of the Senate. All applications received are screened to ensure that they meet the admission requirements. Applicants who meet the basic requirements are called for an aptitude test. This test is designed to assess the English proficiency and the level of intelligence of the candidates. Each part of the paper carries an equal weight (50 marks for each). Only those who get the minimum marks from each part will be called for the interview. A formal interview will be conducted to assess the verbal competence in English, the passion for continuous learning, and the commitment to pursue the program to its completion. A list giving the order of merit will be prepared based on the sum of the aptitude test and interview marks. Applicants who satisfy the entry requirements will be allocated to different programs on their preference and eligibility at the beginning of the program. Only those who can prove the relevancy to the specialisation area of his/her choice will be permitted to register for that particular field of specialisation. The programs on specialisation fields that have at least 10 students will be offered in a particular year. The minimum number of 50 students will be enrolled per batch at present. Lectures of a course are to be completed by 13 weeks and all continuous assessments of a given course should be completed during the 13 weeks. The final examination of the course will be held after 2 weeks study leave. Candidates will be evaluated both by continuous assessments and final comprehensive written examinations. The continuous assessment may include individual assignments, group assignments, case analyses, critical incident analyses, term papers, mid term examinations, quizzes, practicals, oral presentations and etc. After completion of lectures of a credit course, there is a final written examination. Pass mark for each credit course is 50% of the total marks and a minimum of 40% marks has to be maintained for both continuous assesments and final examination. Evaluations of Projects/Research/Thesis will be evaluated both by the report and the viva voce examinations. Degree will be awarded to the candidate who fulfils the requirements of sections; Credit Courses and the thesis/research/project and obtains an overall Grade Point Average (GPA) of at least 2. GPA is the mean of Grade Points obtained for all the credit courses, thesis/research/project, and the viva voce examination. A merit pass is awarded if the average of the grand total exceeds 80%. A candidate who has successfully completed the credit courses (10 courses) in the first year but not opted to proceed to the second year of the program is eligible for the award of the Postgraduate Diploma in Management (PGDM). If a candidate fails to complete the second year of the program within the maximum period given, wishes to obtain the PGDM, he/she shall be awarded the PG Diploma, provided that he/she has successfully completed all the credit courses (10 courses) in the first year of the program. If a candidate obtains a PGDM, he/she is not eligible to obtain the Masters degree. The coordinator will issue progress reports of candidates on request. When all requirements are completed and the results are approved by the result board of the Faculty of Graduate Studies subject to the approval of the Senate of the University, the Deputy Registrar of the Faculty will issue a detailed result sheet on request. It involves: (1) Class room teaching through lecture method and academic assignments for learning of theories, policies, procedures, systems, methods and techniques; (2) Practical learning for providing exposure to the real world through project reports, practical assignments, case studies, critical incidents, skill builders, and role plays; and (3) Participant-centered learning coupled by a qualified supervisor in completing a project/research/thesis. Applications for admission to these degree programs for 2016 batch will be accepted up to January 31st , 2016. 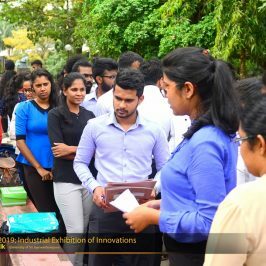 Application forms and program details can be obtained from the office of the Deputy Registrar of the Faculty of Graduate Studies, University of Sri Jayewardenepura in person or by post by paying an application fee of Rs.1500/=. 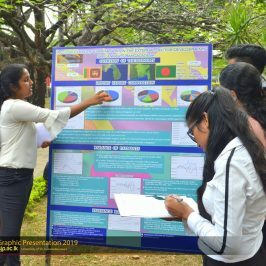 Those who wish to obtain the application forms and program details by post could do so by sending a self-addressed stamped envelop 10″ x 12″ in size to the Deputy Registrar, Faculty of Graduate Studies, University of Sri Jayewardenepura, Gangodawila, Nugegoda. Certified copies of the degree certificates and academic transcripts. Certified copies of certificates of professional qualifications. Evidence of proficiency in English. Evidence to support the eligibility for the specialization field. Certified copies of all other relevant documents.